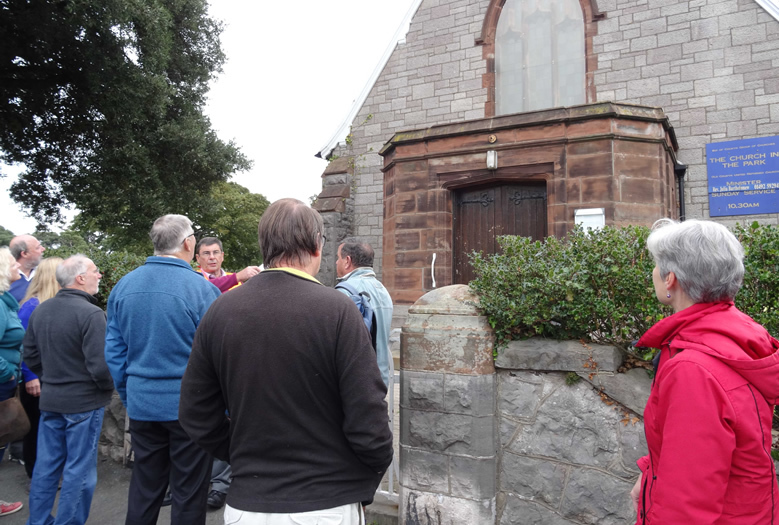 The Old Colwyn Heritage Walk took place last Friday, on the 7th of October, and is one of a series of walks organised as part of the Cerdded Conwy Walks’ programme of Autumn walks. Cerdded Conwy Walks is a group of volunteer walk leaders who organise three walking weeks a year in the county offering a variety of walks in different locations and varying from easy walks to challenging climbs. 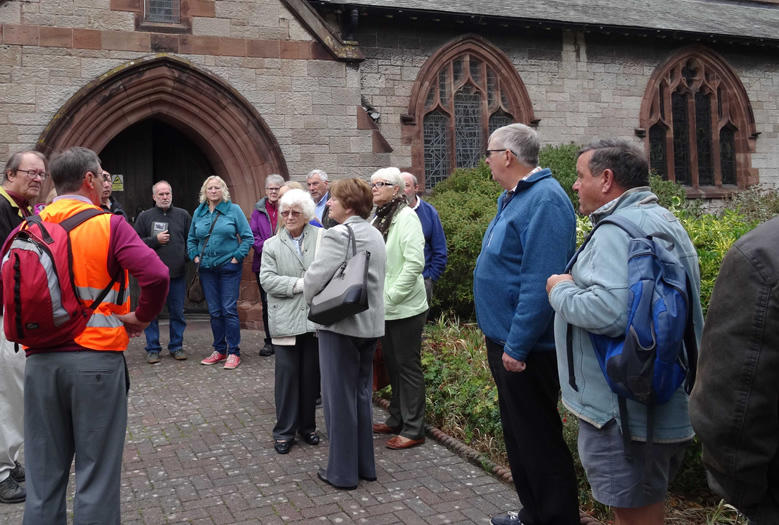 The Old Colwyn Heritage Walk followed the Heritage trail laid out in the booklet developed by the Colwyn Bay Heritage Group, and was led by David Masding. The walk was well attended, and the ages of those on the walk ranged from under 6 to over 80! The walk took in key buildings of Old Colwyn’s history such as The Plough Inn and a folly, and finished at the TAPE Comunity Music and Film building where walkers enjoyed cups of tea and coffee whilst chatting about their memories of Old Colwyn and of course the neighbouring Colwyn Bay. If you are interested in Cerdded Conwy Walks, please visit http://www.cerddedconwywalks.org/ to learn more about the variety of walks they offer. If you’d like a copy of the Old Colwyn Heritage Walk, you can download a copy here: http://colwynbayheritage.org.uk/old-colwyn-heritage-walk-2/ alongside other walks such as the Colwyn Bay Heritage Walk or pick up a free walk booklet for any of the walks at Colwyn Bay library or at one of our Colwyn Bay Then & Now mornings, which are on the last Tuesday of every month in 2016 (apart from December, when it will be held on Tuesday 20th of December due to Bank Holidays).